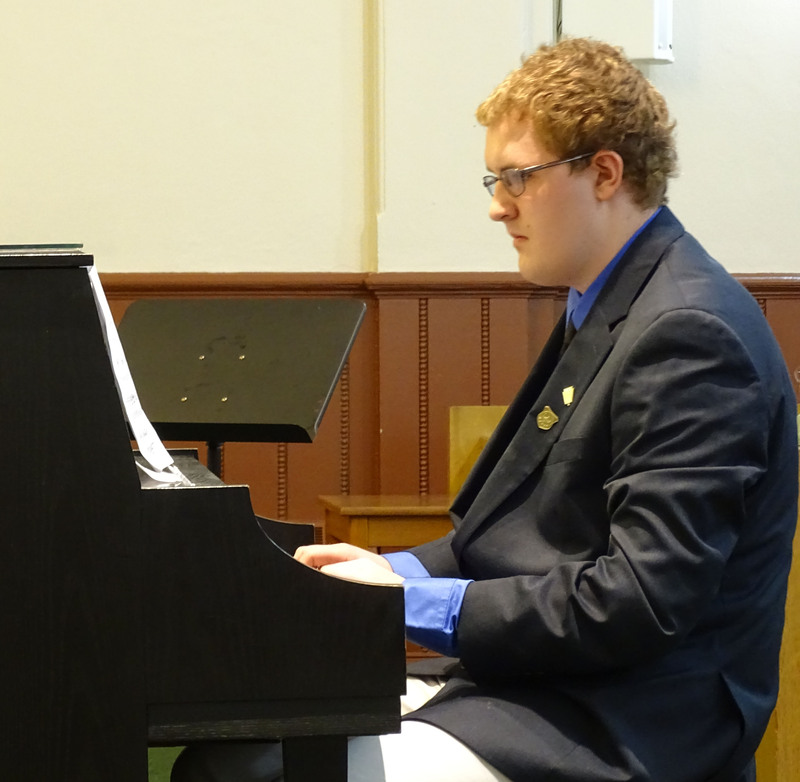 My two sons have been studying music (piano and vocal) with Shirley for about three years. 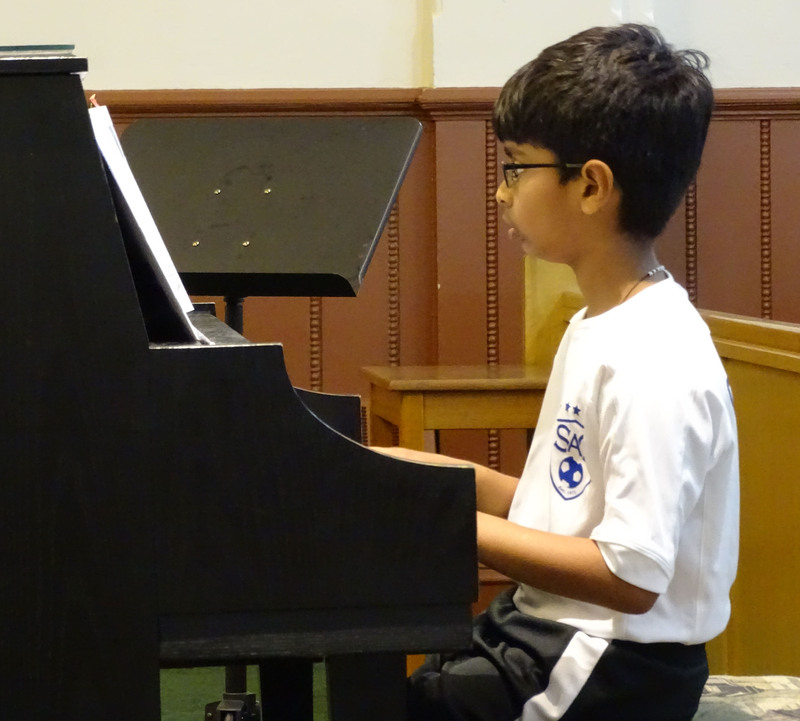 They have improved in school because learning music has helped them to focus more and become more disciplined. Shirley possesses many attributes but if I had to choose only two the first would be her passion and dedication to music. This is not a hobby or a side business for her, but an essential aspect of who she is. The second attribute is her compassion and motivation as she interacts with the children. 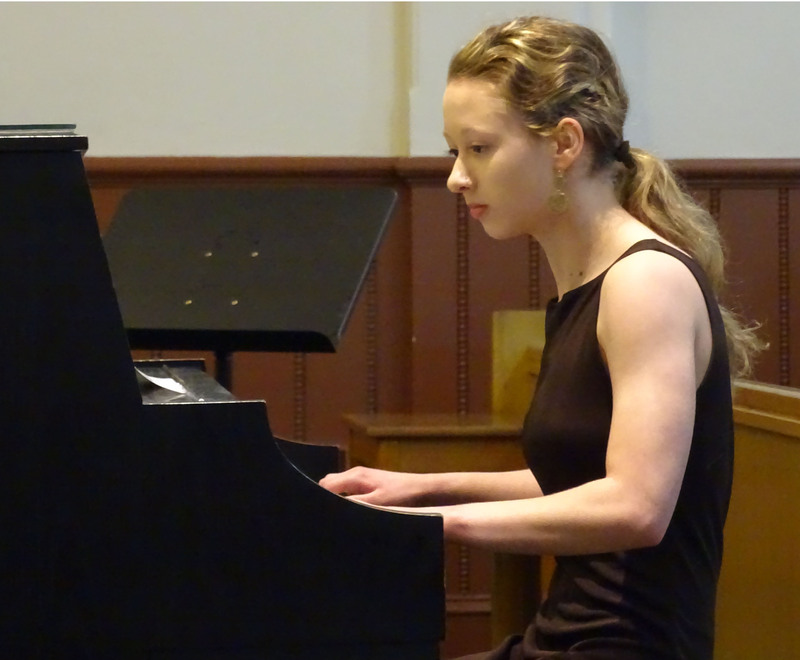 She has a much knowledge and experience in the field of music, but continues to grow and learn new skills to enable her to pass these on to her students. Our family (two sons and a daughter) has been studying piano with Ms. Shirley for 10 years. Ms. Shirley has a great deal of patience and teaches to each child’s strengths. She really picks up on each students’ unique abilities so that each child is taught differently. She is a great communicator and has a calm demeanor. Keep doing what you’re doing. It is a great teaching atmosphere! We ALL win! 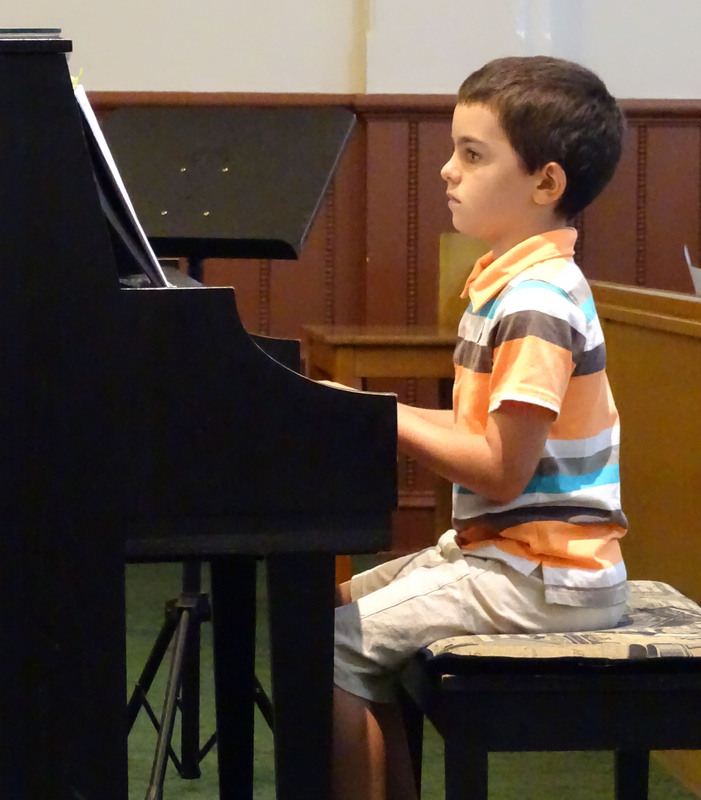 My son has been taking piano lessons from Ms. Shirley for a year. Ms. Shirley is very patient and encouraging. She keeps learning fun for my six year old and seems to genuinely enjoy herself as well! We look forward to lessons each week. Ms. Shirley is fun to work with and engaging not only with our student, but our whole family who comes to wait during lessons. Practice during lessons and at home is never a burden for our son because he is really enjoying the books she chooses and the challenges she puts before him. 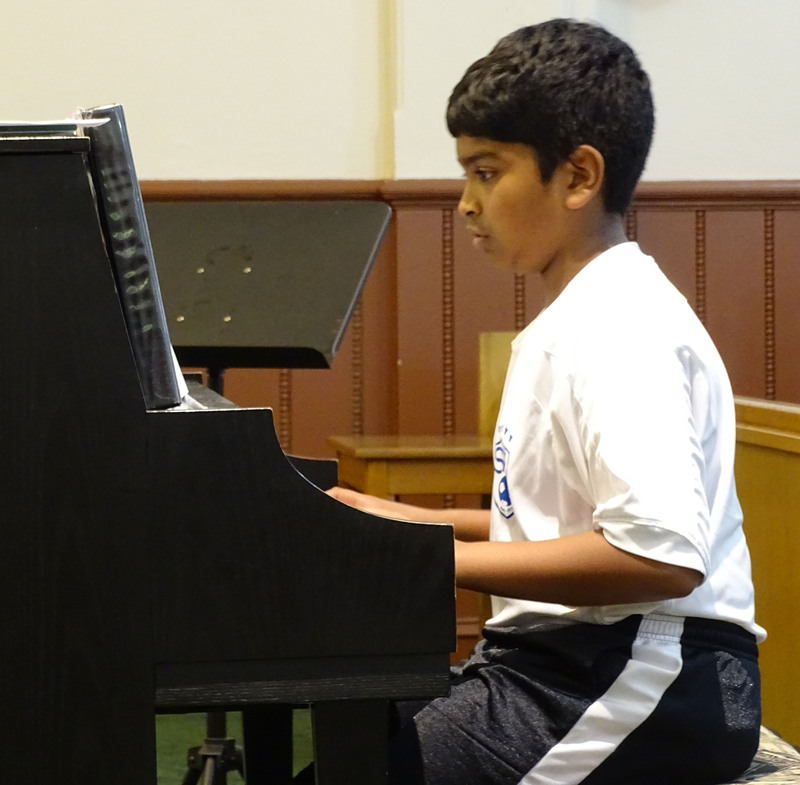 My son is having fun learning music fundamentals and growing in his own patience and confidence. He’s learning the value of perseverance and practicing well. 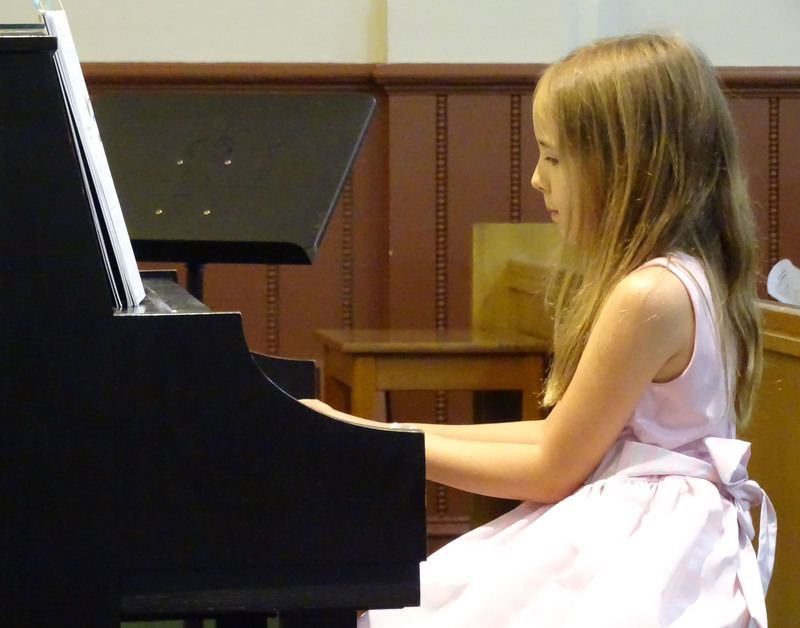 My daughter has been taking piano lessons for almost two years. Shirley is very patient with my daughter. She is able to push my daughter to meet her full potential without causing her frustration. She does an excellent job of explaining things as well as choosing appropriate music for her. I really enjoy how Shirley allows Corinne to be involved in picking the music that she plays. I also appreciate how Shirley sets practice goals with my daughter instead of just telling her what to do. 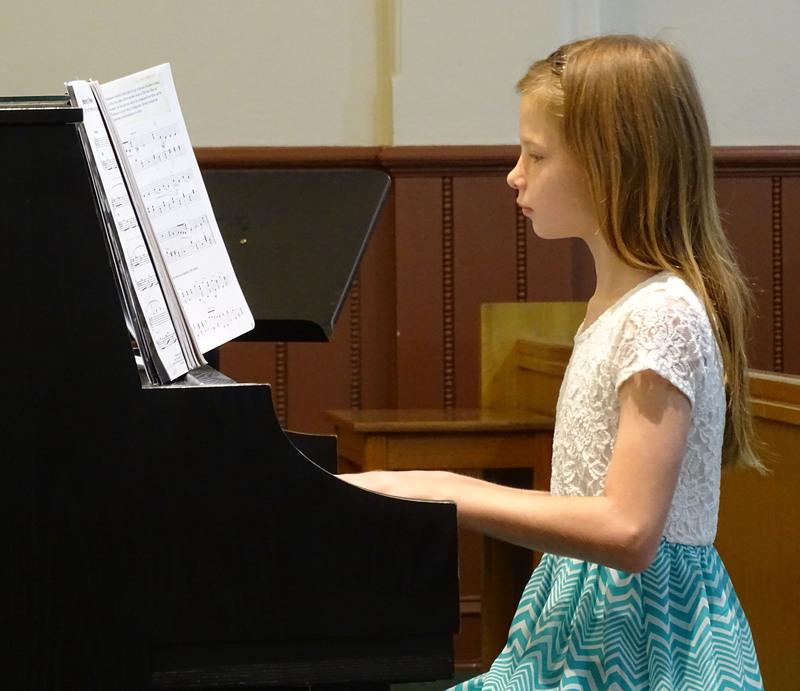 Piano lessons have really shown Corinne that hard work and practice pays off. She notices her own progress and appreciates the hard work that she has done. This skill can be transferred to other areas of her life. 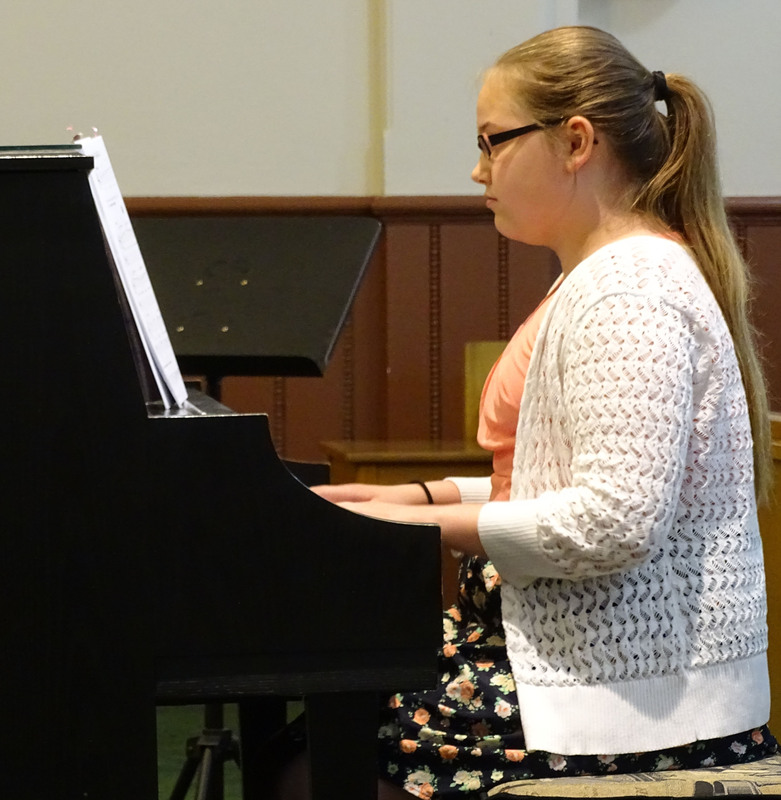 For the last three years my daughter has been studying piano with Shirley. Shirley is responsive to the needs and interests of her students. The format of the lessons is one of her top attributes. 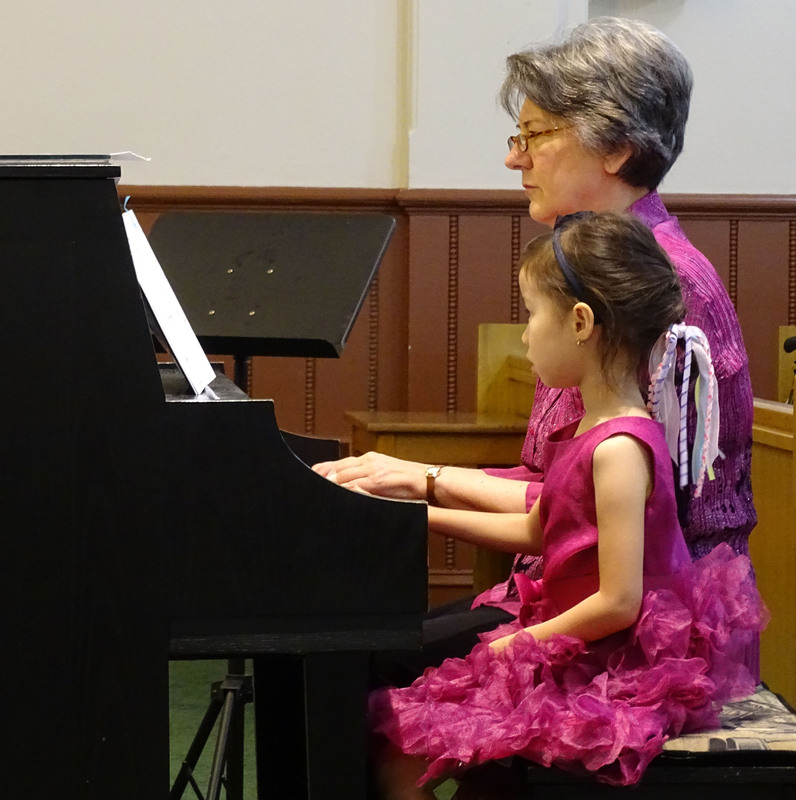 Shirley has flexibility and my daughter is able to pick some of the music she learns to play. 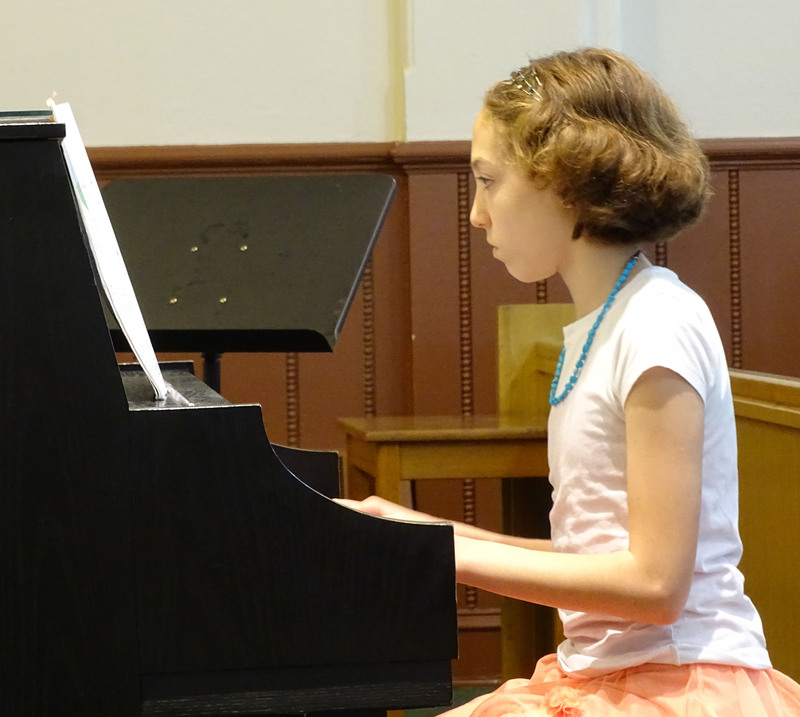 The end of the year recital is important to our family, too. 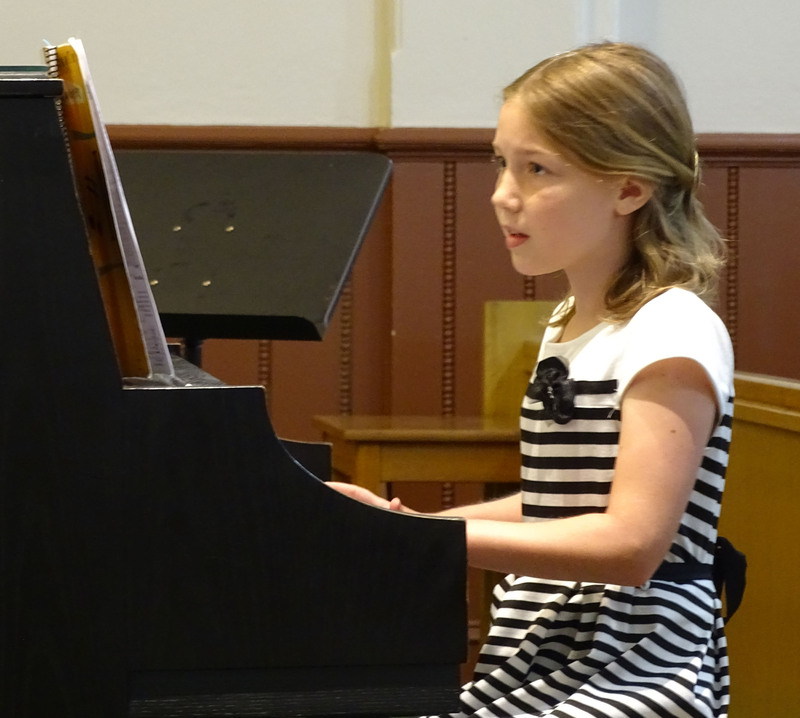 Piano lessons have helped my daughter develop goals, sustain practice and interest in music. 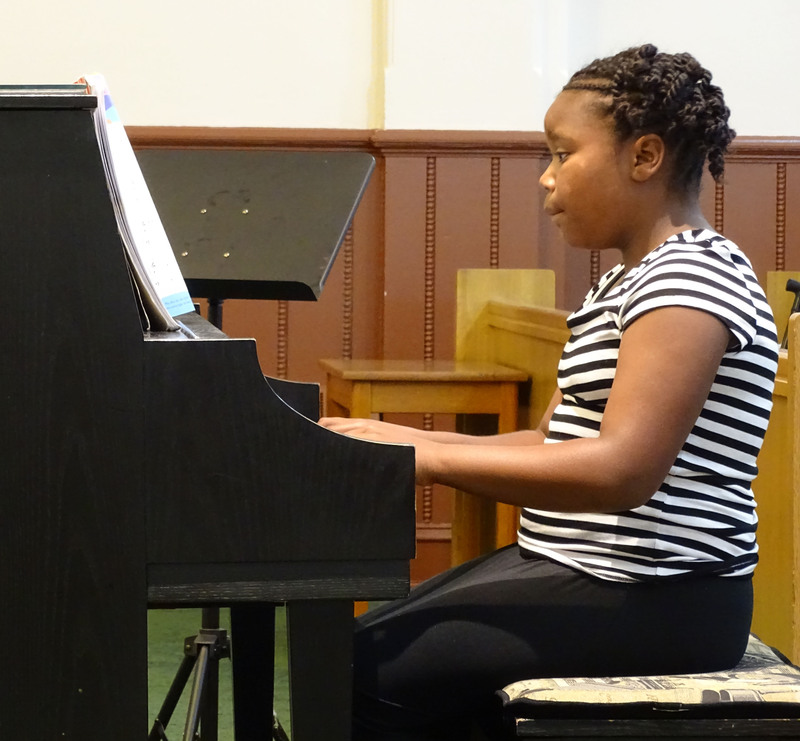 My two daughters have been taking piano lessons from Ms. Shirley for a total of 7 years. Ms. Shirley is very patient with my girls and has a good sense of humor, too. My daughters appreciate Ms. Shirley’s kind honesty about what is working and not working as they learn a piece of music. Ms. Shirley comes up with strategies to learn the more complicated parts. 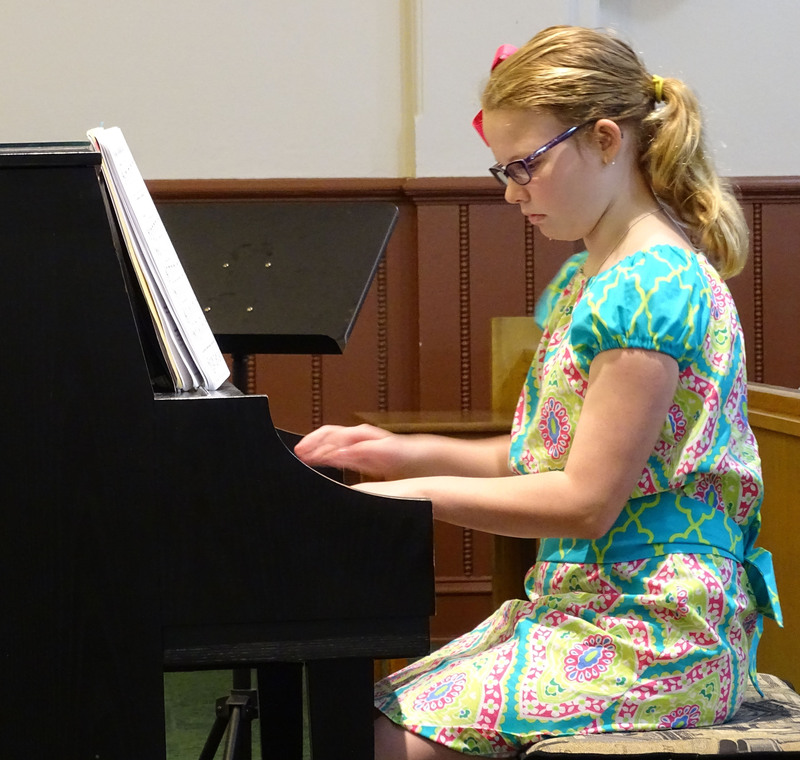 My youngest daughter has felt more comfortable in school because of what she has learned in piano lessons, including being able to read music. 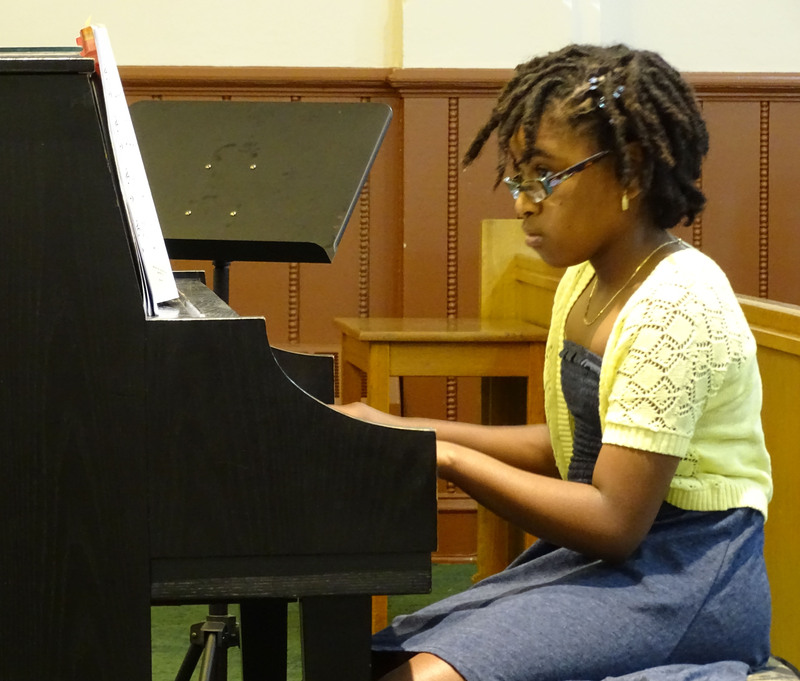 My oldest daughter appreciates Ms. Shirley’s willingness to work on jazz piano as well as classical. 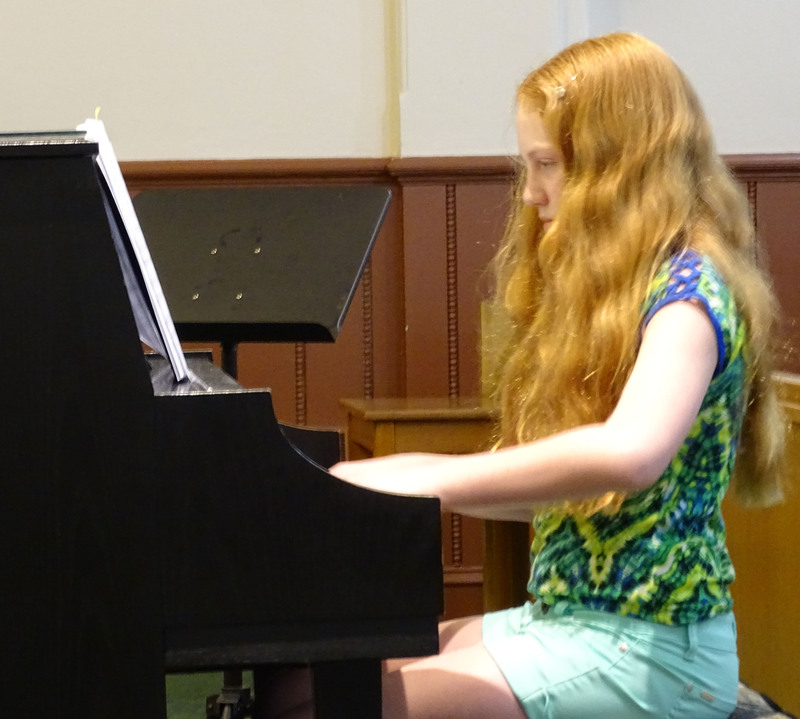 This help has been key to enable her to learn complicated jazz songs and to enjoy participating in jazz band.